Preliminary announcement - A well-presented second floor apartment offered with a 998 year lease and no onward chain. 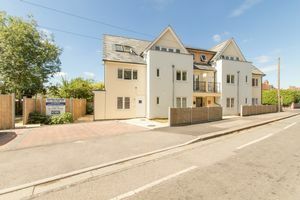 Ideally located in East Oxford the property offers easy access to amenities with Cowley Road at the end of the street. Accessed via a secured communal entrance hall, the property comprises open plan lounge and kitchen, separate dining room, bedroom, bathroom, communal gardens and parking. East Oxford is known for its vibrant culture, with a host of shops, restaurants and bars to attract young professionals. The ideal location to access Oxford City with convenient bus routes or a short leisurely walk.